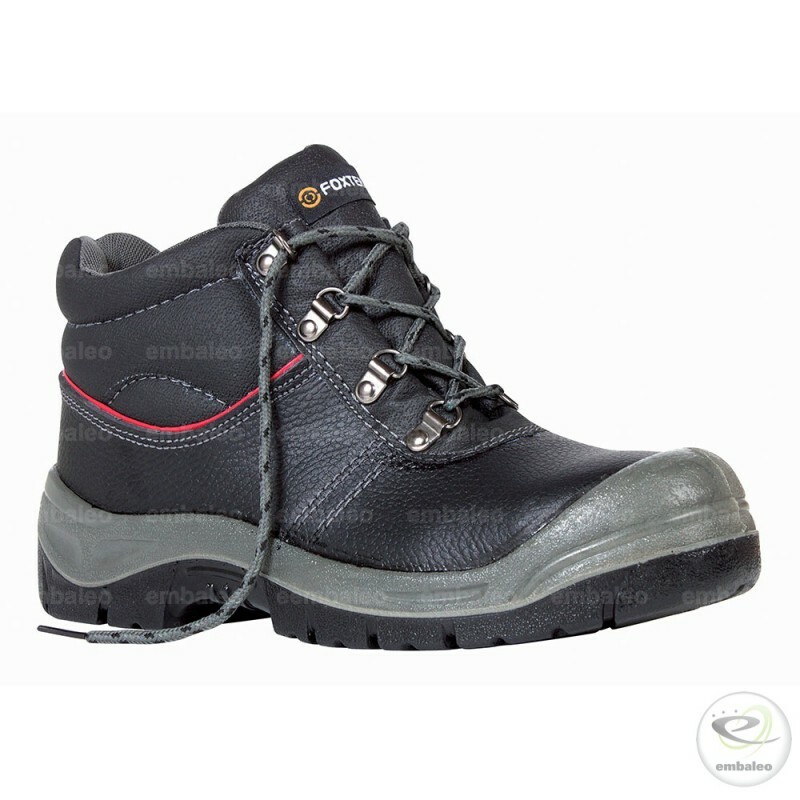 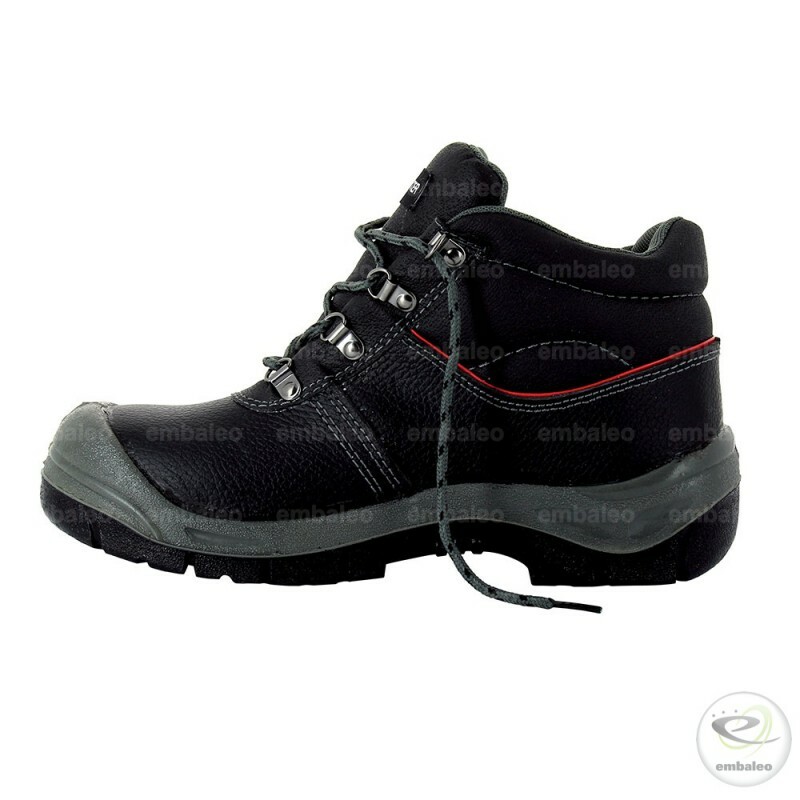 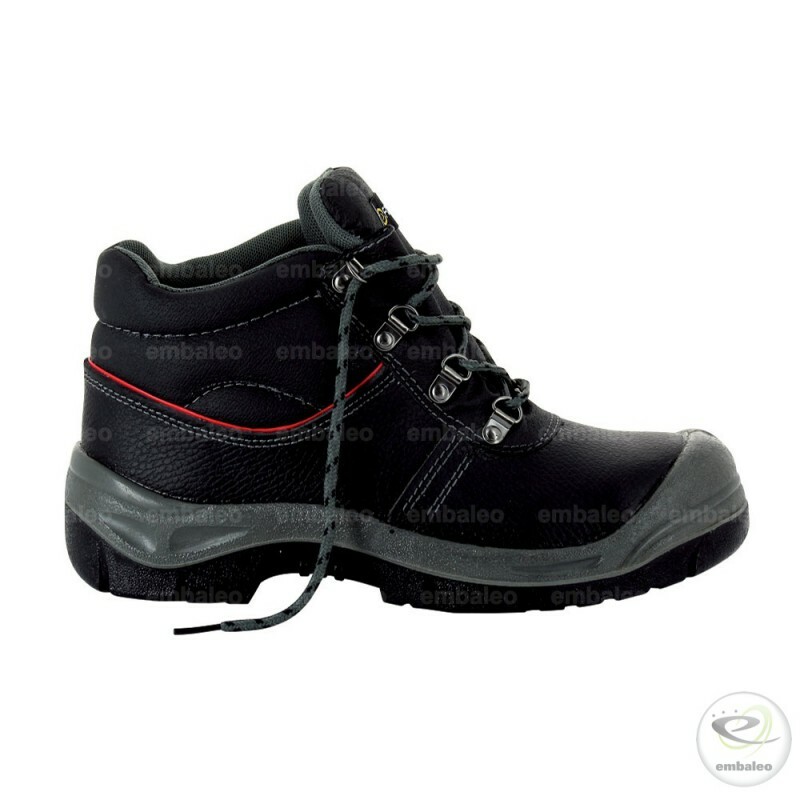 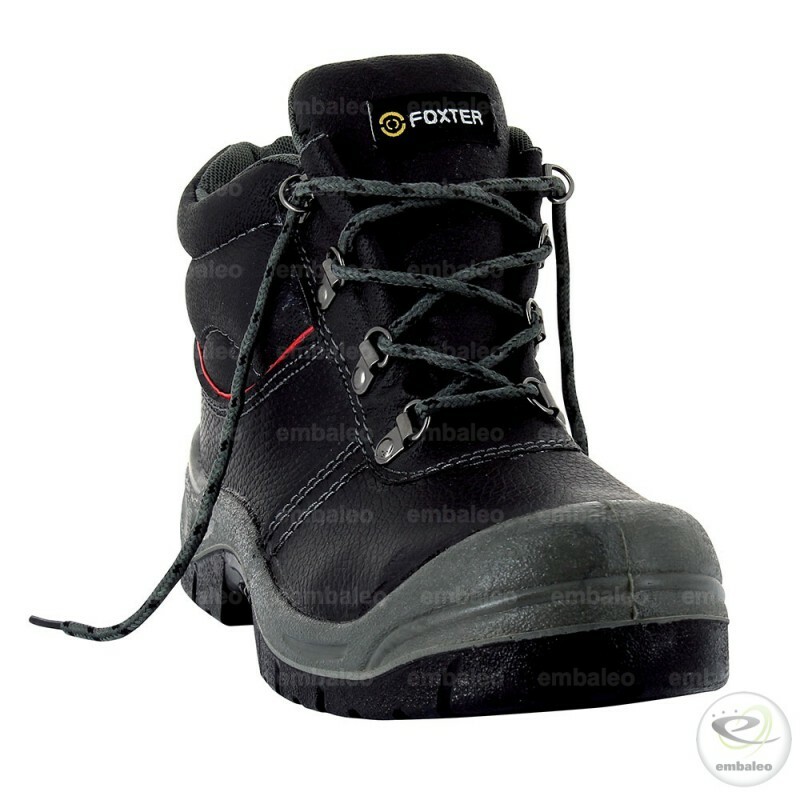 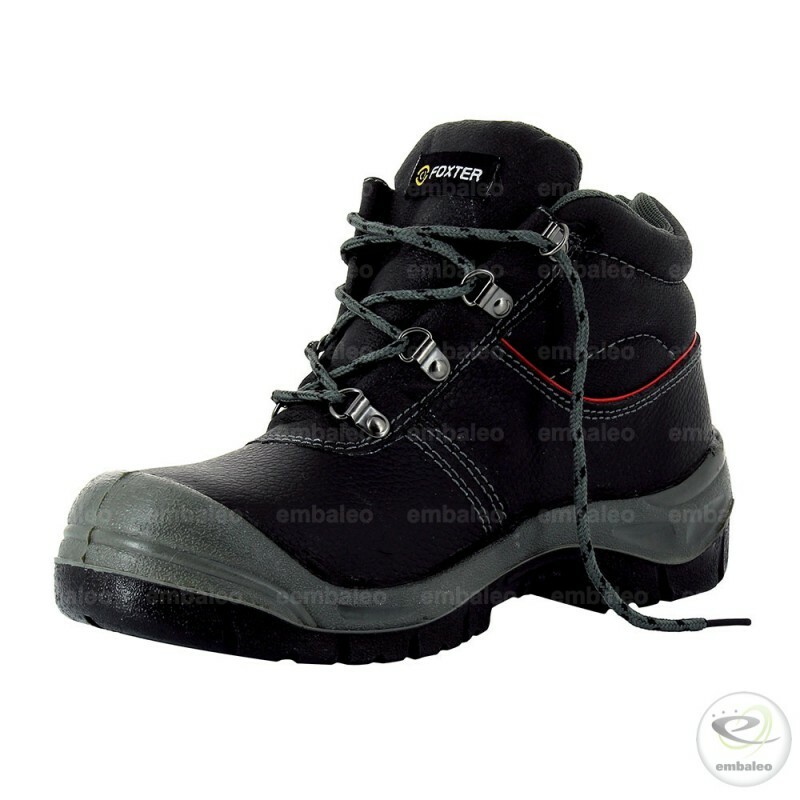 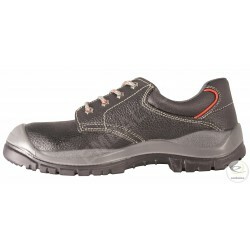 Work boot model with a pigmented water-repellent leather upper and a nonskid double-density polyurethane sole and a shock absorber at the heel. 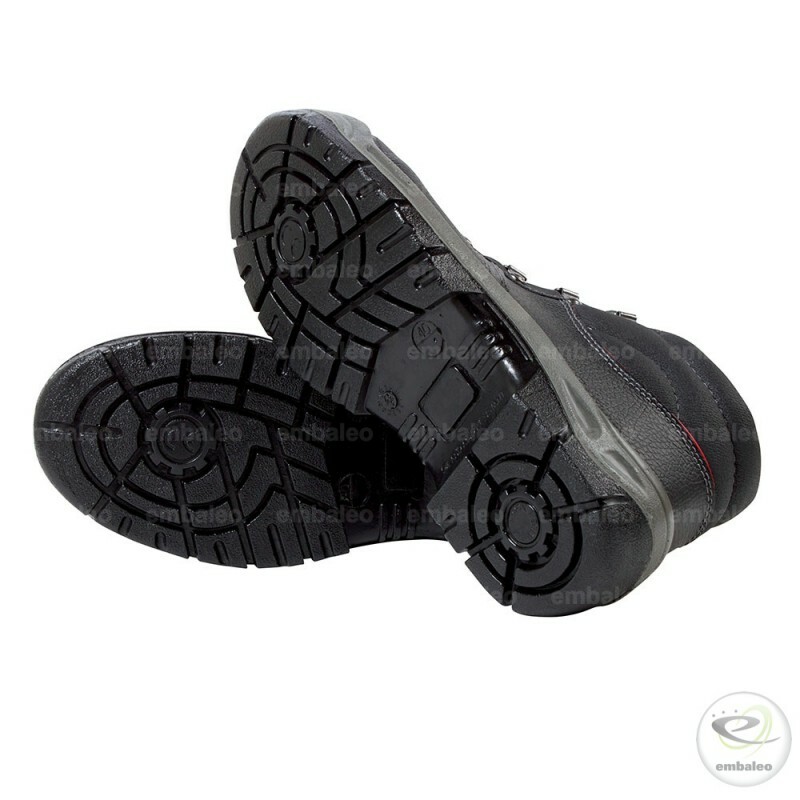 Steel large toecap and anti-perforation sole. 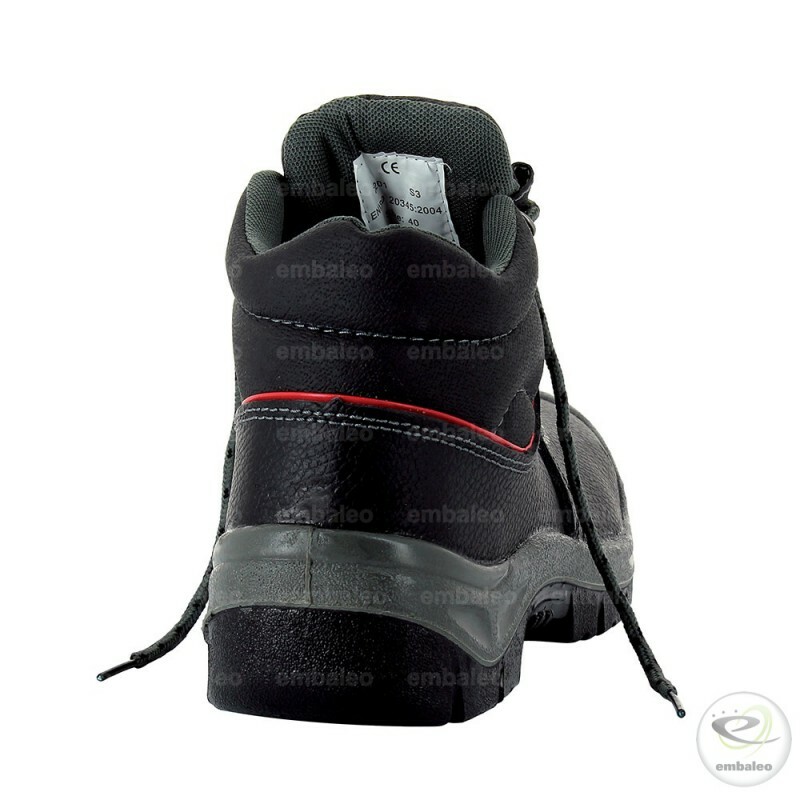 Polyurethane cap on the forefoot to avoid a premature wear of the shoe.